The Academy of Marketing Science (AMS) 40th Anniversary Annual Conference was held at the Biltmore Hotel in Coral Gables last week - over 423 attendees from around the globe, a new AMS record. 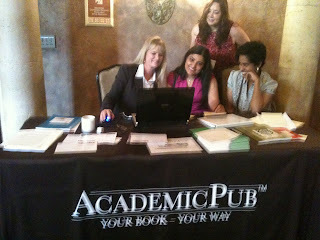 Throughout the conference professors dropped by to examine AcademicPub and created custom books for their courses at our display table. Dr. Daniel J. Flint is a marketing professor - Director of the Marketing Ph.D. program and Director of the Shopper Marketing Forum in the Department of Marketing and Logistics at the University of Tennessee, Knoxville. After reviewing our platform, Dr. Flint had very kind words: "I look forward to using the AcademicPub platform to create a custom textbook for this highly specialized niche market. 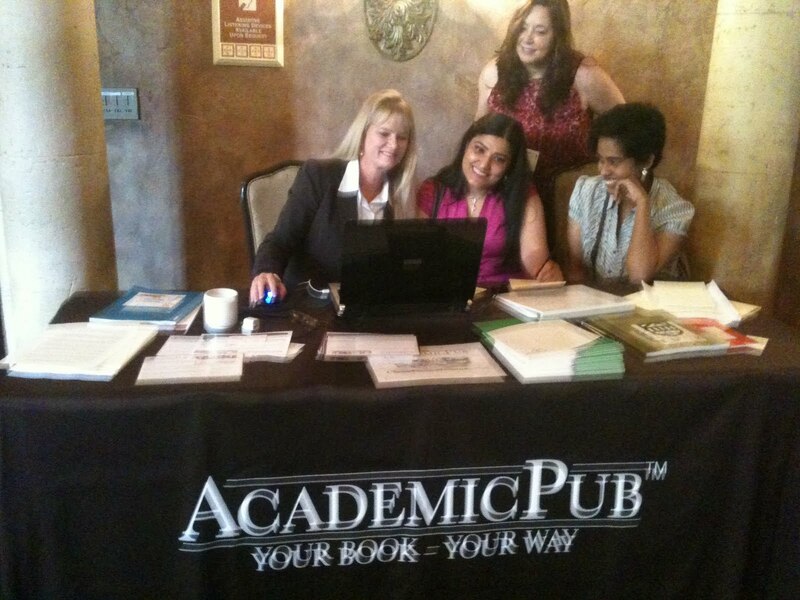 AcademicPub allows me to create my own Shopper Marketing textbook in an expeditious and cost effective way." Ryan Alverson, an Educational Psychology doctoral student from the University of Alabama, studies with marketing professor Dr. Lenita Davis and both attended the AMS conference. Ryan explains that "the UA Sales Lab is based on solid learning theory which apprentices marketing majors in the selling discipline." Ryan sees AcademicPub as a dynamic learning tool, stating "AcademicPub is an efficient way to put together course materials quickly and easily offering a valuable educational resource." Dr. Jeff Kimmel has a busy teaching schedule managing multiple online marketing courses at Ashford University, Strayer University and Lynn University. Dr. Kimmel plans to use AcademicPub for his courses, stating "AcademicPub is easy to use and an extremely quick process to generate an economical resource for students, educators and practitioners. Impressive!" Overall, it was a very good week for us, and a great chance to speak with so many educators.